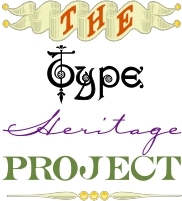 History and digital preservation of 19th- and early-20th century letterpress display typefaces. Series of textbooks based on 15+ years of spare-time research documenting pre-digital tradename(s), year of issue, name/nationality of the designer and/or producer. Sample spreads of specimens and chapter introductions.